by K.A. 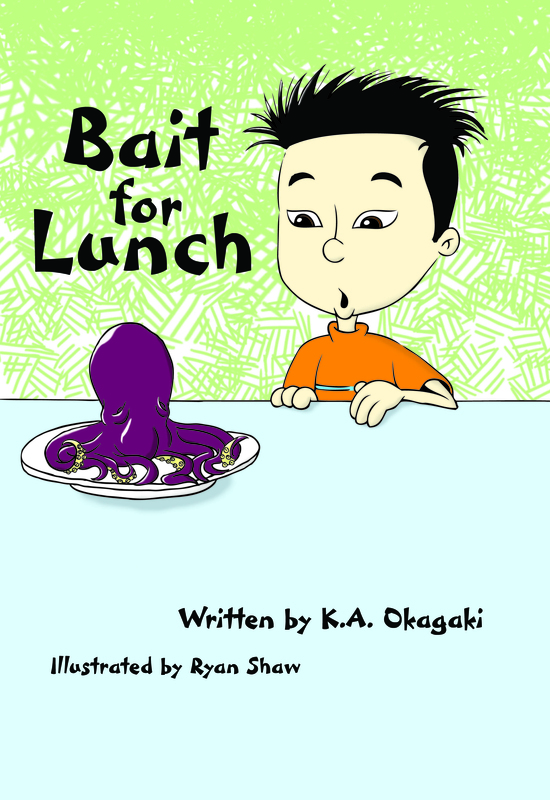 Okagaki (Karen), illustrated by Ryan Shaw. Gilroy Tanaka thinks Grandpa staying with him while Mom and Dad are away will be a treat. Poor Gilroy’s delight turns to shock when his grandfather serves octopus for dinner and squid kabobs for lunch. What’s a hungry kid supposed to do?